The theme of our product review today is a product called MSM Cream, manufactured by MRM. The maker’s of this therapeutic skin cream claim that it can help your joints, skin, allergic reactions and overall immune health. The cream is sulfur based. Collectively the ingredients in this cream claim to reduce the accumulation of scar tissue and improve the skin’s suppleness. The manufacturer has not stated the amounts of each of the ingredients in MSM Cream. Sulfur is a necessary ingredient for the formation of connective tissue. MSM has been shown to be useful for maintaining the structure of skin. Sulfur helps keep skin soft, smooth and pliable even in hot, harsh environments. 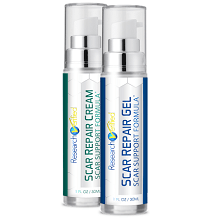 The manufacturer claims that another benefit of MSM is in reducing the amount of scar tissue. The dosage information was not very useful and merely suggests that you should apply the cream on the affected area. There were no instructions regarding frequency or how long you should use this product for. Consult with your healthcare provider before using this cream especially if you are pregnant or nursing. 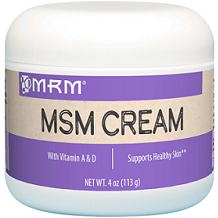 You can purchase MSM Cream from the manufacturer’s website at a price of $17.95 for a 4oz container of cream. There are no new customer incentives or bulk buying discounts. Shipping within the U.S. costs an additional $8. The manufacturer does not have any returns policy or guarantees for this product. There were only a couple of things to like about this cream. The ingredients list is long and likely will provide some benefits to your skin. International shipping is available. The product is free from gluten, nuts, dairy, yeast, soy, shellfish, eggs, peanuts, and tree nuts. We do have some less positive comments however. The manufacturer does not provide a returns policy or guarantee for this product. There are no new customer incentives or bulk buying discounts. Shipping within the U.S. costs an additional $8. The product is expensive at $25.95 when you add the cost of shipping. The dosage information was very minimal. There were no instructions regarding recommended frequency of use, or how long you should continue using this product for. There was no information about possible side effects or warnings. There was no explanation regarding how to use the cream specifically on scar tissue, or how long it takes to see any benefits of the cream. There is no assurance that the product is made in an FDA certified facility, or that its ingredient are non GMO. There were quite a lot of reviews on Amazon but over half of them seemed to be negative comments from customers who saw little benefit to the cream in treating scar tissue. For all these reasons we are no able to recommend this product for treating scar tissue.